The cost of an inspection is dependent on several factors but we narrow that down by size and age. *Add $75 for homes older than 100 years old. *Add $50 for all outbuildings you would like inspected. *Add $75 for all homes in "as is" condition or highly distressed. Discount $50 off the above referenced pricing structure. WHY IS A HOME INSPECTION NEEDED? Purchasing a home is the single largest investment you will make. It is important to learn as much as you can about the house before you buy it, allowing you to make an informed decision about the purchase. Home inspections can also help you avoid unexpected repairs. Additionally, our inspectors will note the positive aspects of the home and recommend maintenance steps and tips to keep your home in good condition. WHY SHOULD I CHOOSE SCOPE INSPECTIONS? 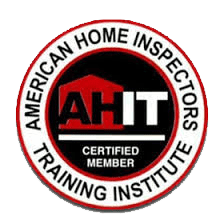 Professionally trained and Certified by the American Home Inspection Institute, AHIT. 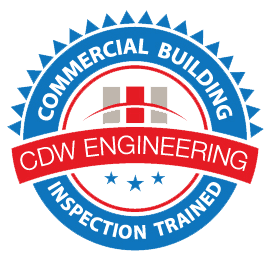 Professionally trained for Commercial Building Inspections by CDW Engineering. Years of property management experience and real estate investing. Licensed Nationally and by the State of Wisconsin. 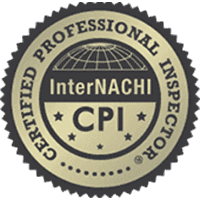 Professionally Certified Member with InterNational Association of Certified Home Inspectors, InterNachi. InterNACHI holds their members to a high level of competence and ethics. Adheres to the WI Standards of Practice for all home inspections. Technologically Advanced - providing first class digital reports, with dozens of pictures and diagrams. Insured –including General liability and Professional Liability/E&O insurance. NOTE: The State of Wisconsin does not require inspectors to carry insurance. Our insurance will protect you and other parties involved in the transaction. While it is not necessary for you to be at the inspection, we welcome your presence and encourage you to attend. We know that not everyone can put aside 2-3 hours of their day so if you are only able to attend the end of the inspection to catch the summary, we understand. When you are able to attend, you can ask questions of the inspector directly and you will have a better understanding of the property, any issues that may come up and the overall inspection report upon it's completion. A typical Scope Inspection will last 2-3 hours. A Scope Inspection is thorough look at current issues or potential issues. We setup our inspections to help you become more familiar with your new home. Several maintenance and improvement tips are included throughout the 35+ page report and every client also receives a folder with a custom Scope Inspections Home Maintenance Manual to help effectively maintain their investment. CAN A HOUSE "FAIL" AN INSPECTION? No. A home and its components will go through typical life cycles and will eventually reach the end of its useful life. Also, a home inspection is not the same as a code inspection. While the inspector will be familiar with the local building codes, the objective of an inspection is to describe the physical condition of the house at inspection time and indicate what may need repair or replacement. We are available 7 days a week, sun-up to sun-down, including same day inspections. Please feel free to book with us online, call, text or email for availability. WHAT IS THE PROCESS TO SCHEDULE? You may schedule online and we will follow up with you soon after. 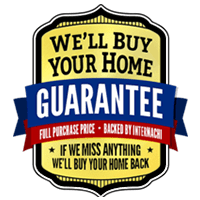 Or if you prefer to call the office, we will discuss the specifics of the home and I will answer any questions you have including the price for the inspection. If all sounds good, we can schedule an inspection time that is convenient for you and I will confirm that time with your realtor. We will send you a confirmation e-mail that includes an Inspection Agreement and a link to pay by credit card. You may also pay by check, cash or Venmo at the inspection. Feel free to contact me at any time for questions that may come up before the inspection. We will then see you on inspection day. All major credit cards are processed via a secure link after scheduling. We also offer Venmo at the inspection.